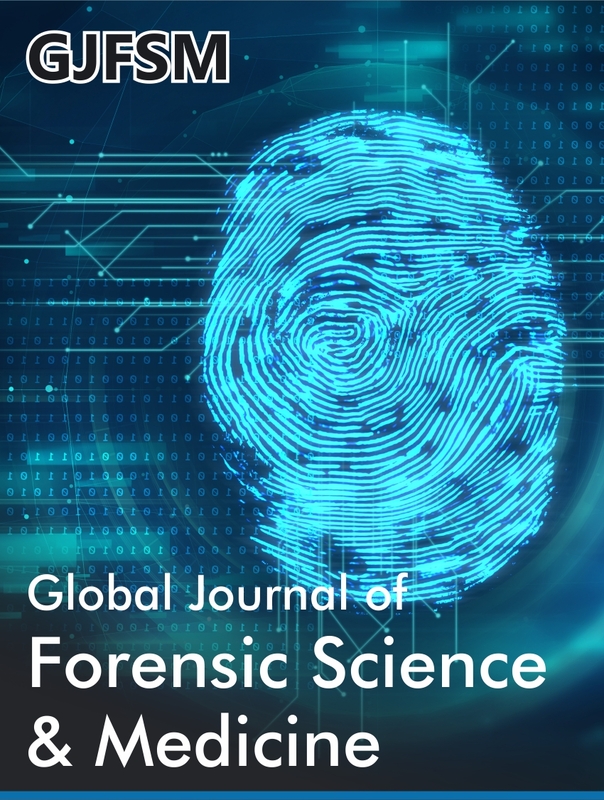 Global Journal of Forensic Science & Medicine (GJFSM) that aimed to explore the ideas of the scientific researchers about forensic science & medicine at the same time strives to publish quality articles. GJFSM mainly focused on forensic pathology, forensic psychiatry, forensic anthropology, clinical forensic medicine, scholarly inquiries, DNA Analysis, forensic odontology, legal proceedings and medical ethics, resolving technical and statistical issues, death investigation and causes of death, sciences like geology, social sciences, chemistry etc. and many more interesting topics that fall under scope of the journal. It is a monthly published journal which accepts all types of articles like Editorial, Research, Review, Case Report, Short Communication, Perspectives, Mini Review, Clinical Images, Letter to Editor, e-Books, Video articles etc. Why China Still Faces the High Risk of Criminal Injustices? Ten Years Gone, Holdin on, Ten Years Gone: The Circular Economy and the Evolutionary Trajectory of the Competitive Intelligence Profession.